Stars Among the Dead by SkipJack Publishing. Stars Among the Dead is a novella, set nine months before Pennies from Burger Heaven. It’s a fast-paced read (90+ pages) that someone told me both warmed and broke their heart. Living on the streets is hard enough, so when Copper Daniels’ mama drags them from their cemetery home in the middle of the night, the eleven-year-old knows they’re in big trouble. The two clash over this so-called secret mission to help an unreliable friend. Unfortunately, Copper can’t seem to protect her mama from herself, and by the time they discover the first dead body, it’s too late. They’re running from a killer, and Copper isn’t sure they’ll make it out alive. To receive a free copy of Stars Among the Dead, sign up for my email list. You’ll receive the novella in your inbox right away. I only email once or twice a month, so I’m not spammy. Plus, you can unsubscribe at any time. I hope you enjoy this Copper-Daniels novella, as much as I loved writing it. Now, back to work on the sequel to Pennies…. 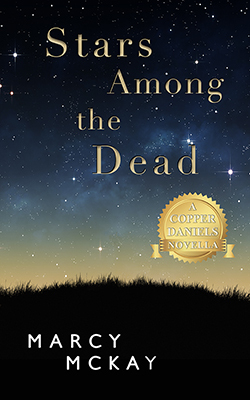 What do you think of the premise for my new Copper-Daniels’ novella, Stars Among the Dead? 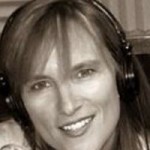 I’m so luck to have found YOU + a whole host of readers who love Copper Daniels as much as me. I actually thought of you all as I pressed PUBLISH! Please leave an honest review when you’re done! Thank you so much! I promise to leave you an honest review. I’m so super excited. Thank you again & for Cooper Daniels. Marcy, I love this story! As always, I am captivated by Copper and her story. That makes me SO happy, Bobbye. Many thanks. I got it downloaded and will read it. I know I’m going to love it!!! Marcy, Your timing is perfect. I am going on a vacation and this will be the first thing I read. If it is anything like Pennies I will love it, not want it to end and then want to start your next book as soon as I finish. Molly I started it this morning and I’m loving it. It’s as fantastic as Pennies In Burger Heaven. Enjoy. This one has me on the edge of my seat. Be safe on your travels. I like your thinking, Molly. Can’t wait to hear what you think about Stars! You’ve made my day, Tonya. Jasmine just sort of wrangled my heart and I had to write about her. Thanks always opening your heart to my stories. I appreciate you!